Ross & Cromarty Roots | Murdoch & Margaret (Ross) Macdonald, d. Margaret. Murdoch & Margaret (Ross) Macdonald, d. Margaret. In loving memory/of/the Reverend/MURDOCH MACDONALD/for thirty seven years/minister of the/Free Church Congregation/of logie Easter/who died on the 9th June 1892/aged 81 years. His last text. REV. VII. 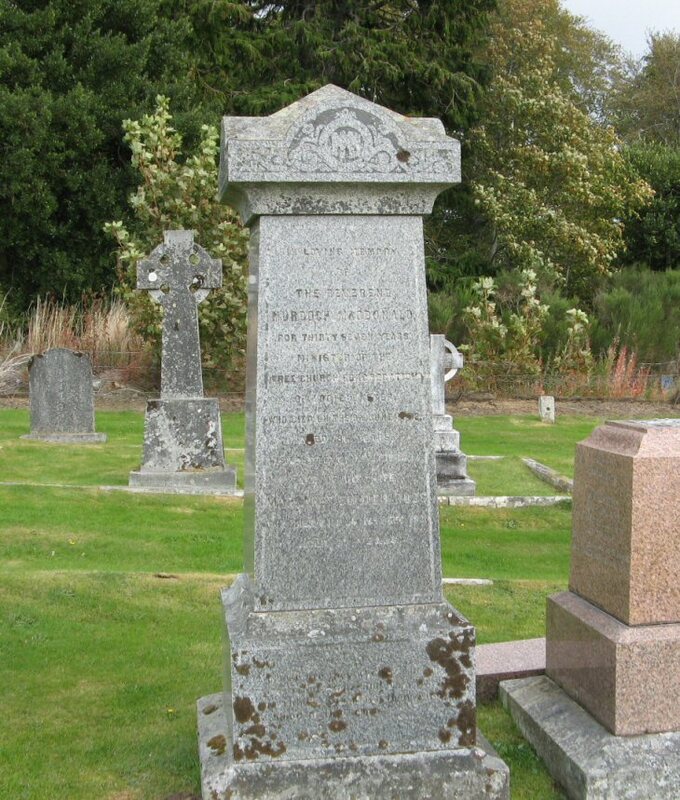 13.14.
and of his wife/MARGARET FOWLER ROSS/who died in Tain 16th Dec, 1901/aged 61. Blessed are the pure in heart/for they shall see God. Picture Added on 04 March 2010.